Main body of Micro V -Jet. Commonly found in Whirpool baths purchased from large hardware & DIY stores. 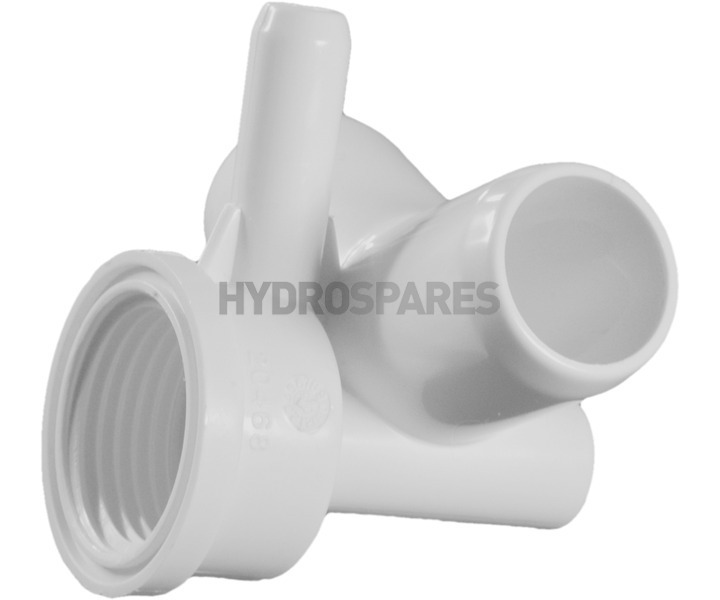 The water connections are 26mm spigots which will fit inside 1.0" semi rigid pipe.